Caretaker is the first story of a brand new Star Trek series. The fourth incarnation of the Star Trek legend, Voyager features an entirely new cast of fascinating characters, a brand new ship, exotic new aliens and a previously unexplored quadrant of the galaxy. Full length unedited pilot episode. 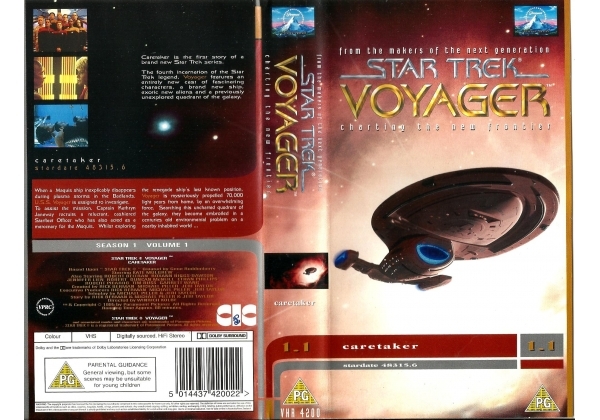 Or find "Star Trek: Voyager 1.1 - Caretaker" on VHS and DVD / BluRay at Amazon.